This image was taken during the BSoUP 2006 splash in competition. Each July the society hold a 'best shot on the day' photo competition in Plymouth. 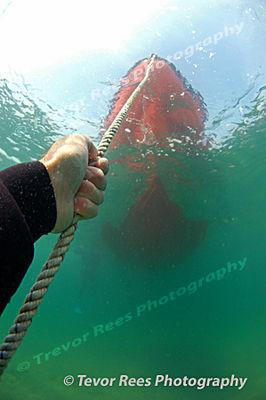 With a hand on the shot-line, this is the view from 4 metres below looking up towards the dive boat.